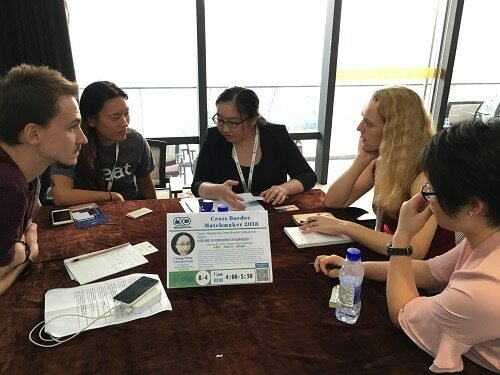 We are just finishing our second Cross Border Matchmaker event here in Shenzhen, China and have been receiving amazing feedback from attendees, experts, and sponsors. While it is still fresh in our minds we want to recap how the event went and what the key takeaways were. 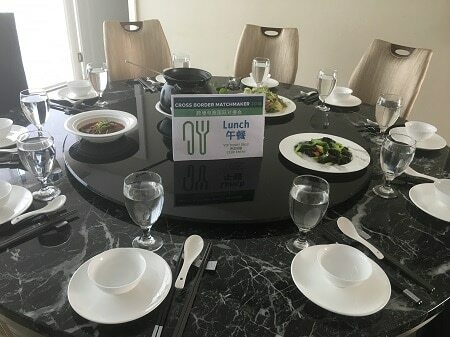 The way we worked it out was putting a 10 minute timer on the wall and having the room shaped like a “U” with an outer table seating area and an inner table seating area. We had participants write down keyword of what they are skilled in and what they are looking for help with or connecting with. 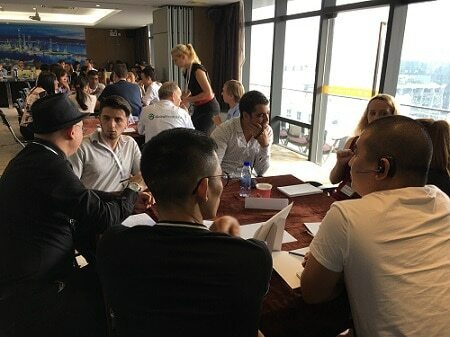 It got a little shaky on the first round as people were learning the process of making connections and how to match with the right person. But once we did the first one, people opened up a bit and were more open to meeting various people they were matching with. The moderators also helped to make sure that we put the right people with each other. 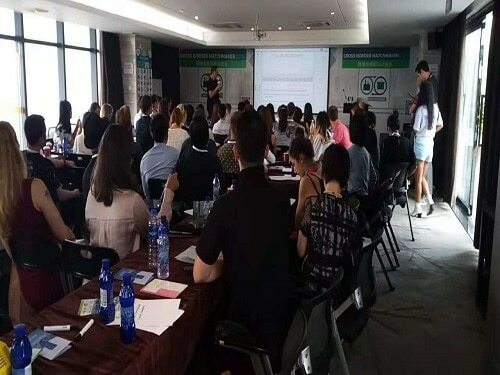 Events seem to need some learning and some speaking – and we had 4 amazing presentations for the event. 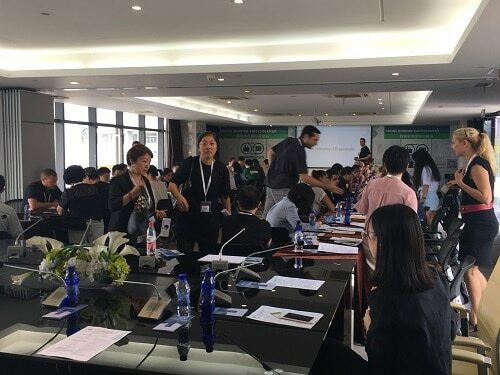 Mainly sharing about Amazon FBA, export market, and other insights – we had a lot of photos being taken of the presentations and lots of notes being taken. Many experts didn’t just want to host a round table, but many wanted to speak. It was hard to balance as there are so many skilled people there and it was from a wide range of backgrounds. 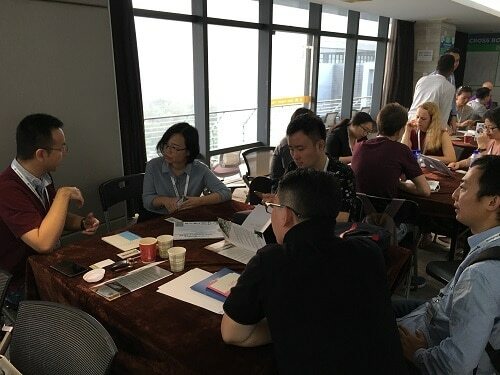 It went a bit into the lunch break but we saw people really enjoying the mix of learning, fireside chat question and answers, and storytelling of people’s business story to China. This year’s general entry ticket didn’t include lunch or beverages. This is because we are focusing on different style events and simplifying the event so that we can get bigger and cater to everyone’s needs for food and drink – when and where. People connected with each other and arranged lunches at nearby restaurants preparing to come back for the afternoon sessions starting at 2pm. Now for what I call the “main” part of the event – the round table matchmaking. This is where Global From Asia “Shines” – is our network of experts. 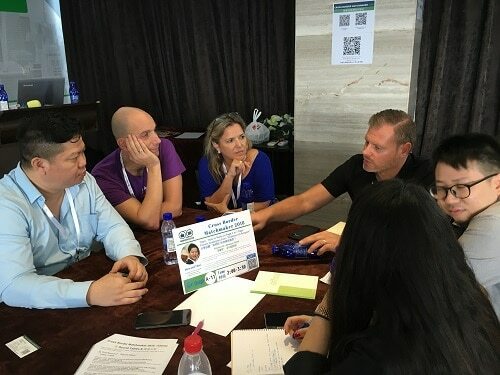 From our events in the past to our podcasts to our videos and blogs – we have a wide and rich network of business experts from around the world in the cross-border business industry. The way we ran this was we had two “rounds” of “round tables” (tongue twister for me) that had about 10-12 experts each round. Their profiles and what they were going to be discussing about was shown on the event page as well as on the agenda so attendees could prepare where they would want to sit. As attendees said they didn’t hear many of the experts speak before and weren’t familiar with them – we had each of them stand up and introduce themselves and what they would be sharing about. This took just about 15 minutes or so and helped some of the attendees understand what their topic would be and decide. Then we put 30 minutes up on the clock and had the experts start to host the conversations at their table. 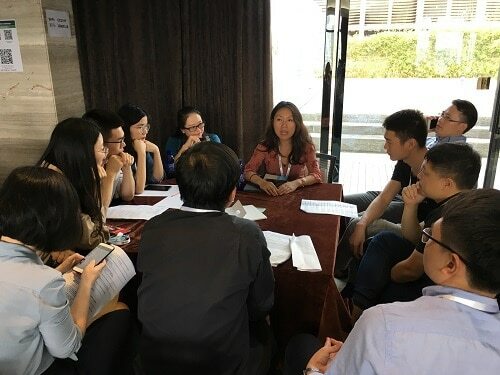 As we were thinking to do a full hour with each table and those participating – we received feedback people wanted to have time to switch to other expert tables. Therefore we split the round into 2 parts and 30 minutes on the clock for each round. The energy was so high! People really started to make connections and get ideas and make business deals. 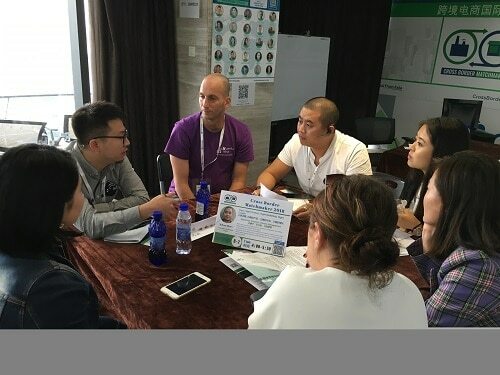 The participants started to tell the organizers how they found a new supplier, or service provider, or business relationship. The smiles and hugs were great. After the first round of experts (2 sets of 30 minutes) we took a break. But people didn’t want to leave the tables. The sessions continued, and the organizers switched the signs on the tables for the next round of round tables. Again we introduced the next set of 10 to 12 experts and people joined the tables. 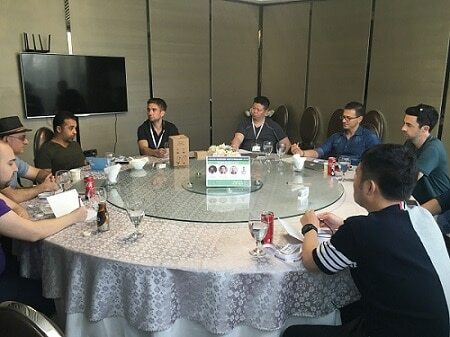 Some tables had more than others, some of the room kind of morphed to fit the right people at the right tables. Organizers had to move around a bit to help match people up and bring more chairs to certain tables. It was a living room of energy and knowledge and international connections. 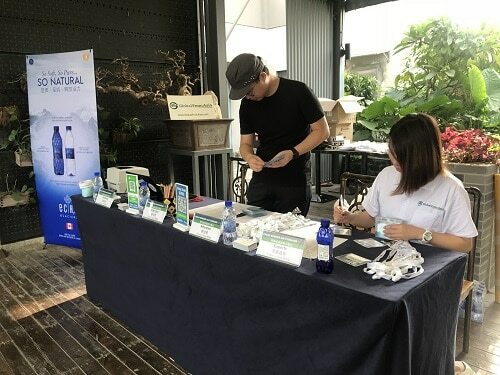 The sponsors made this event possible and of course even though it is a paid event – sponsors help ensure the basic needs of getting the event off the ground are covered – so please consider using their products or services or if not – telling a friend who may be interested. * Do you do this CBM event in other cities? Well – we want to! We plan to! This is our second one, and we kind of totally re-invented the format from the first CBM event (was more on speakers and booths). We feel this model is something we want to scale up and are looking for local partners in different cities to help us build these events in those cities. * How often do you do these events? Some thought we do these monthly! While that sounds cool, it is a ton of work. Not just the work, but also the time and willingness of the experts. We are still deciding the frequency of these events – but depends on the city, the local organizing team, and the market’s demand. * Make it a 2 day event? – some wanted more! More speakers, more expert round tables, more time with experts. Our concern with making it multiple day is the amount of energy and experience the local organizers have in the event. A one day event is a bit easier to organize, plus the costs of organizing, and the ticket costs would be much different. We want these tickets to be more economical and we want these events to be more focused on the networking and deal making (hence the name match maker) than learning (listening to speakers). We want the Cross Border Summit to be the big event with multiple day and speakers from around the world. That kind of event takes over a half a year to prepare. * More rooms of round tables? 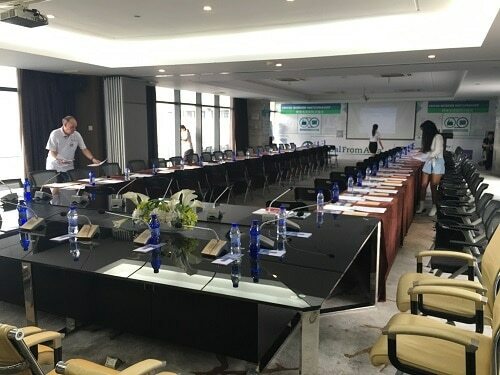 – True we could have put expert round tables in multiple rooms. But at the same time we like the energy of having everyone in one big room and hearing all the conversations happening around the other tables. We are considering having different rooms, maybe they can be on different topics and themes. So much more amazing feedback. 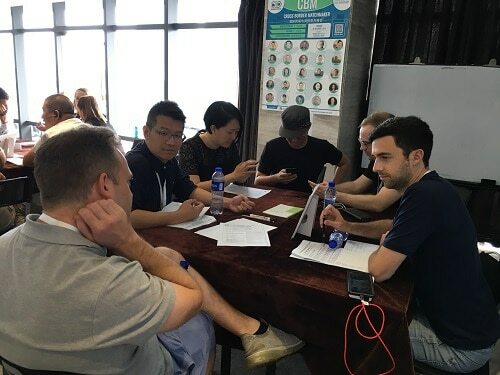 And yes, some constructive feedback about not being able to find the venue, the communication tools – wechat, email, skype, phone, etc. 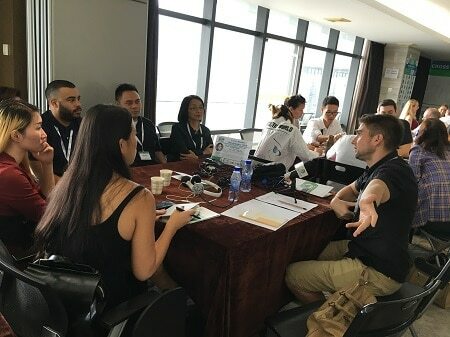 Doing an event in China that is international with people flying in and crossing Hong Kong borders is extremely challenging and we are working on helping to make it smoother next time. In Conclusion – We Are Looking For Local Event Organizer Partners! 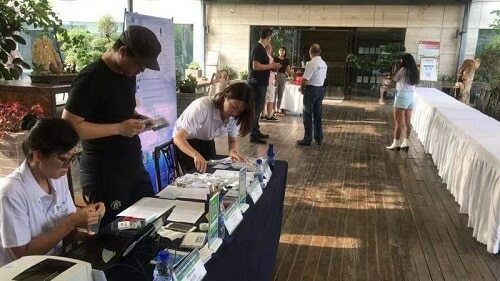 We loved the Cross Border Matchmaker event! 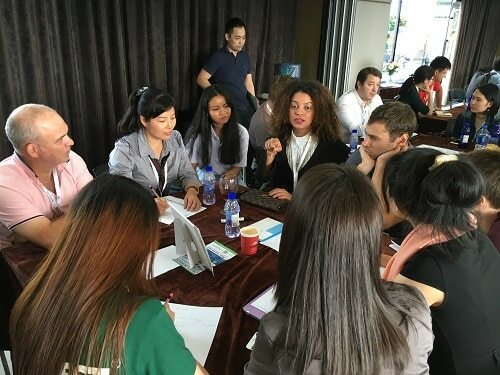 We are excited to do more in the future, again in Shenzhen, China, but also other cities around the world. Specifically looking at more in Southeast Asia. Why? Well I am now based in Thailand – but also with the USA and China trade war SE Asia has been heating up as a hotspot. Plus there aren’t many international events there and we seem room for more. Yet – we need you! If you are an experienced event organizer in a local region and want to cooperate with us in your local region – we want to talk to you! 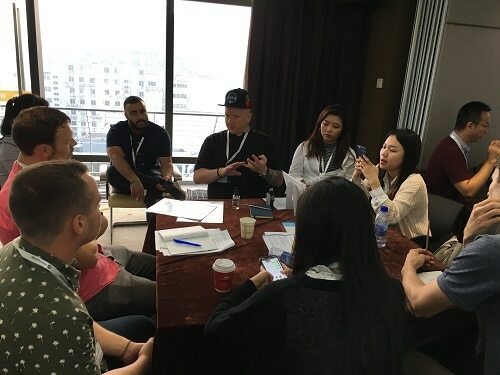 We have many tools and benefits for you to organize a Cross Border Matchmaker in your city and our community management team will love to discuss the business model. Happy matchmaking! 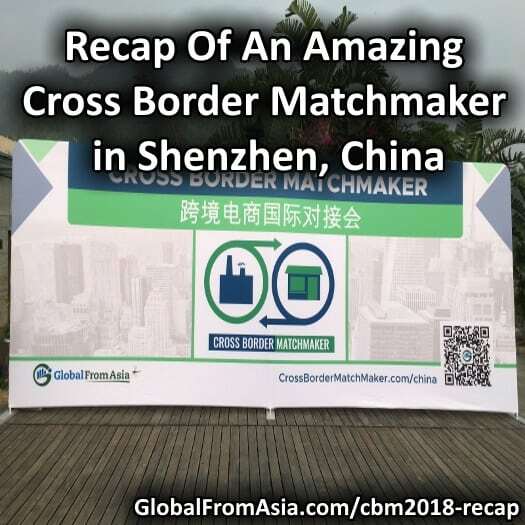 We are excited to see how these deals progress from our second Cross Border Matchmaker – this is what it is all about!